Anyone who has seen the hit American TV show Storage Wars will know that people leave some very strange things in their storage lockers…and then forget about them! This makes for great TV, as you never know what they are going to uncover next and which eccentric character is going to bid the most for the contents of the mysterious box. 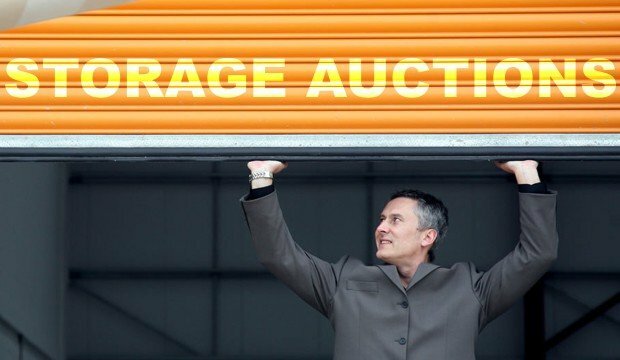 If you fancy yourself as the next Darrell Sheets or Barry Weiss then why not try taking part in your very own Storage Wars, right here in South Wales. Here at Storage Giant people often forget about their storage lockers, so lots of prime storage containers come up for auction each month. So far we haven’t quite found our Laura Dotson to preside over the auctions, so instead we list all the storage containers on ebay so you can bid for them directly on there. If you have any questions at all then please do not hesitate to get in touch at the email address above. Why not also sign up to our storage auction newsletter and get the latest news and notifications of the next storage auction LIVE to your inbox. NB: All auction sales are final, and no guarantees or warranties are being offered or implied. All items are sold as seen and no returns or refunds will be entertained. The unit contents have not been investigated and only some items which are clearly visible have been itemised in the auction listing. However, this should not be construed as an accurate and/or exhaustive list of the items contained in said unit. Any storage trolleys contained in a storage unit remain the property of the storage company. The entire unit contents must be cleared.